A 40-year-old female who had a transient ischemic attack-like “spell” one Saturday sought medical attention the following Monday from her personal physician, who ordered a head MRI and a carotid ultrasound. Presumably, no CT scan of the head was obtained because she was asymptomatic at that point, and such an exam would have yielded little useful information. The MRI scan revealed a mass; upon consultation with the neurology team, it was believed that the mass was probably a meningioma, and that the patient’s spell was likely a seizure caused by the mass. The options given to the patient were surgery or observation, and she decided to proceed with surgery. 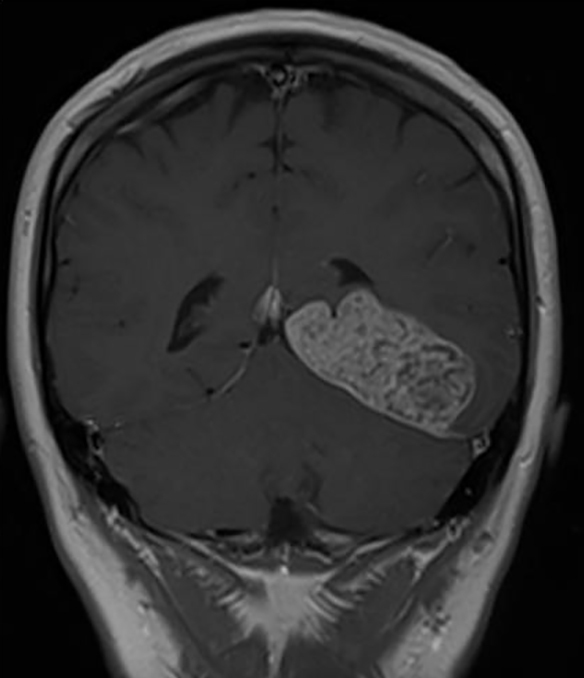 During surgery, the mass was found to be of unusual consistency for a meningioma. Gross total resection of the mass was performed, with the origin confirmed to be at the tentorial notch. Follow-up imaging has since demonstrated no evidence of recurrence or residual tumor as of this report. 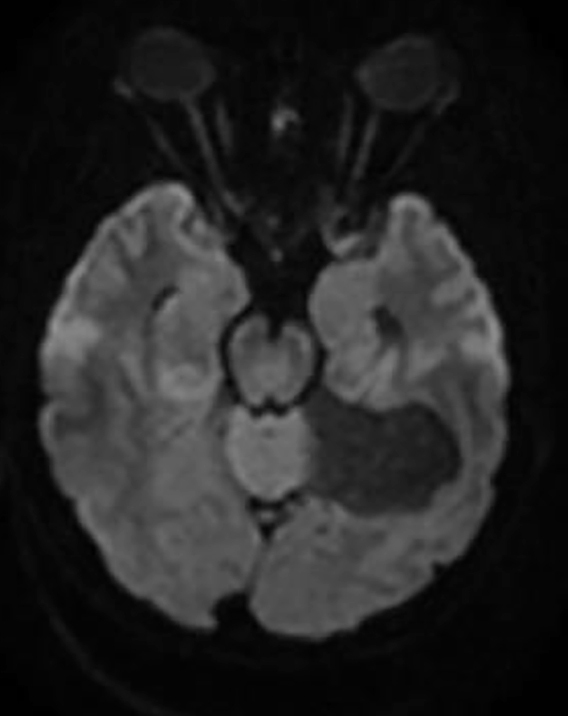 The MRI revealed a low T1 and heterogeneous T2 signal extra-axial, enhancing lesion along the left tentorium cerebelli, with no edema in the adjacent brain parenchyma. No foci of low signal were seen on the susceptibility-weighted images to suggest calcification, and there were no areas of restricted diffusion (Figures 1-5). Pathology review was consistent with a low-grade chondrosarcoma, either primary or metastatic. A postoperative CT scan of the chest, abdomen, and pelvis was negative for malignancy; therefore, the final diagnosis was primary intracranial extraskeletal chondrosarcoma. 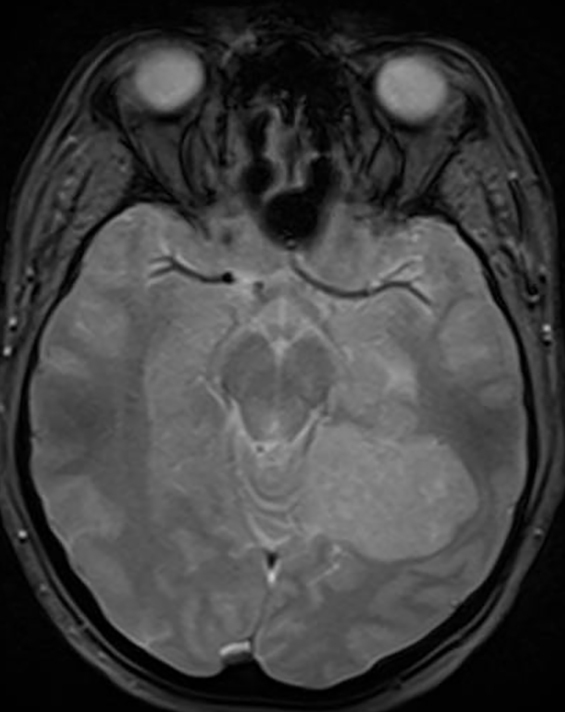 The differential for an extra-axial enhancing lesion on MRI includes meningioma, hemangiopericytoma, and metastasis. Due to the high risk of recurrence, aggressive local treatment is preferred with the goal of complete surgical resection. 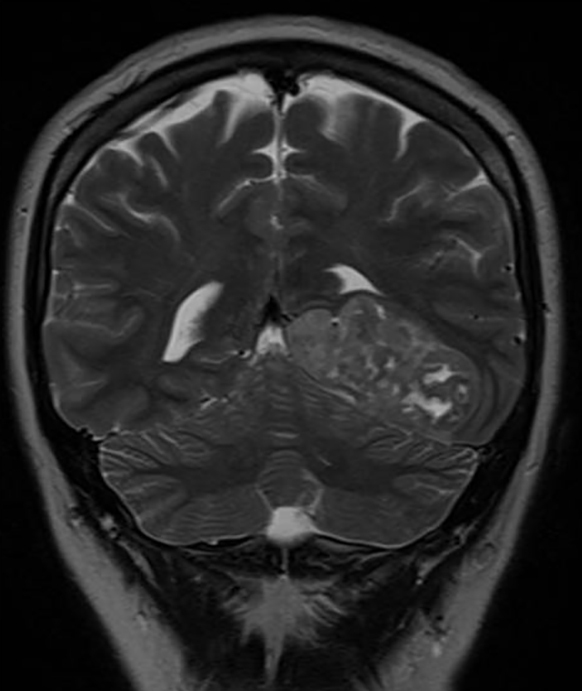 The use of adjuvant radiotherapy or chemotherapy is controversial, with some evidence that radiotherapy delays recurrence.6 Treatment with agents such as temozolomide and combination ifosfamide-doxorubicin has been reported in a few cases.11,12 Our patient was treated with complete resection, and no additional adjuvant therapy. Follow-up imaging has demonstrated no evidence of residual or recurrent tumor as of this report. The infrequent diagnosis of primary CNS chondrosarcoma makes it difficult to establish a standard protocol for treatment. Primary intracranial extraskeletal chondrosarcoma, especially when dural based, is rare. 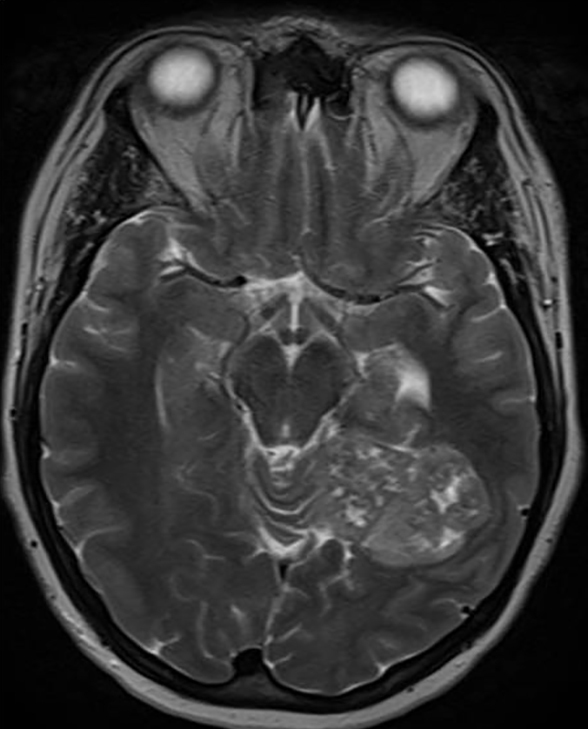 Our case demonstrates that imaging findings can be confusing, and the diagnosis of a meningioma warrants consideration. However, key imaging features which may suggest chondrosarcoma are islands of low signal on T2 and a “honeycomb” or “cord-like” pattern of enhancement, both of which were present on this patient’s MRI exam. The correct diagnosis is important due to treatment/management implications. Once diagnosis is made, surveillance is important after initial treatment due to the high risk of recurrence, especially with the mesenchymal variant. Kothari N, Law M, Cha S, Zagzag D. Conventional and perfusion MRI imaging of parafalcine chondrosarcoma. AJNR. 2003;24:245-248. Korten AG, Berg HJ, Spincemaille GH, van der Laan RT, Van de Wel AM. Intracranial chondrosarcoma: review of the literature and report of 15 cases. J NeurolNeurosurg Psychiatry. 1998;65:88-92. Oruckaptan HH, Berker M, Soylemezoglu F, Ozcan OE. Parafalcine chondrosarcoma: an unusual localization for a classical variant: case report and review of literature. Surg Neurol. 2001;55: 174-179. Vergeer RA, Vink R, Avenarius JK, Driesse MJ. 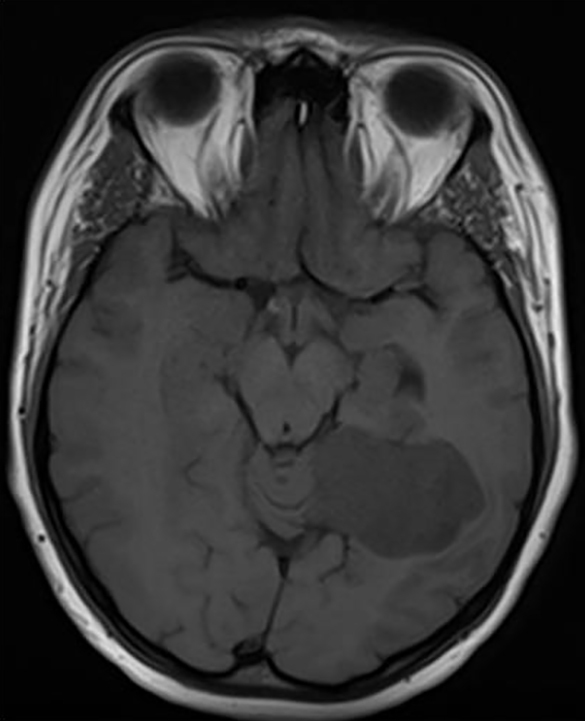 A 71-year-old woman with an intracranial dural-based mesenchymal chondrosarcoma. Journal of Clinical Neuroscience. 2012;19:1170-1171. Hassounah M, Al Mefty O, Akhtar M, Jinkins JR, Fox JL. Primary cranial and intracranial chondrosarcoma: a survey. ActaNeurochir(Wien). 1985;78:123-132. Bosma JJD, Kirollos RW, Broome J, Eldridge PR. Primary intradural classic chondrosarcoma: Case report and literature review. Neurosurgery. 2001;48:420-423. Chandler JP, Yashar P, Laskin WB, Russell EJ. Intracranial chondrosarcoma: a case report and review of literature. Journal of Neuro-Oncology. 2004;68:33-39. Nagata S, Sawada K, Kitamura K. Chondrosarcoma arising from the falx cerebri. SurgNeruol. 1986;25:505-509. Scheithauer BW, Rubinstein LJ. Meningeal mesenchymal chondrosarcoma: report of 8 cases with review of the literature. Cancer. 1978;42:2744-2752. Lee YY, Van Tassel P, Raymond AK. 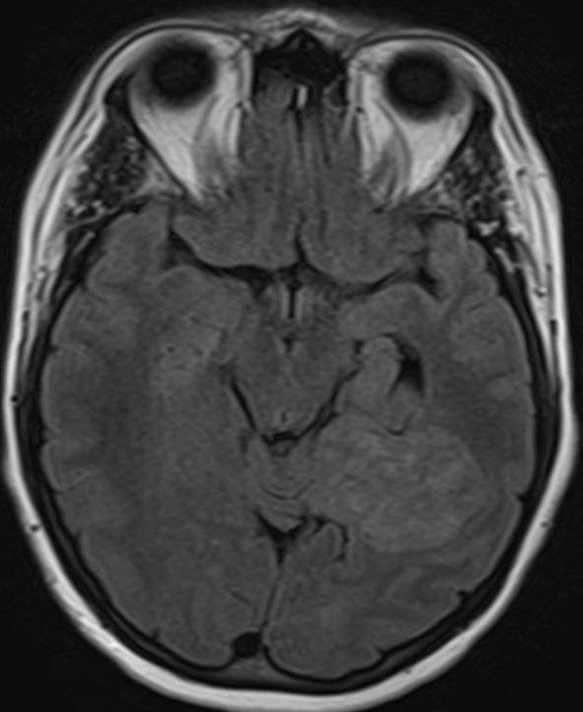 Intracranial dural chondrosarcoma. AJNR. 1988;9:1189-1193. 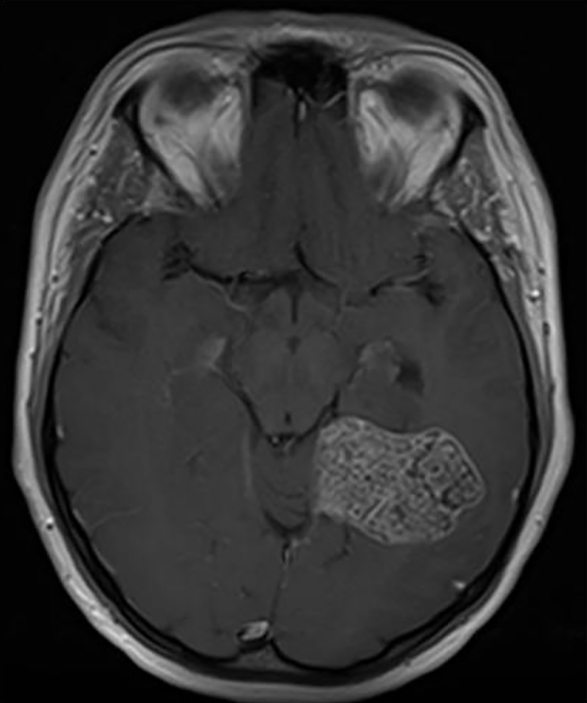 Aksoy S, Abali H, Kilickap S, Guler N. Successful treatment of a chemoresistant tumor with temozolomide in an adult patient: report of a recurrent intracranial mesenchymal chondrosarcoma. J Neurooncol. 2005;2:333-334. Sardi I, Massimino M, Genitori L, Buccoliero AM, Giangaspero F, Ferrari A. Intracranial mesenchymal chondrosarcoma: Report of two pediatric cases. Pediatr Blood Cancer. 2011;56:685-686. Bhatt AA, Campeau N, Black DF. 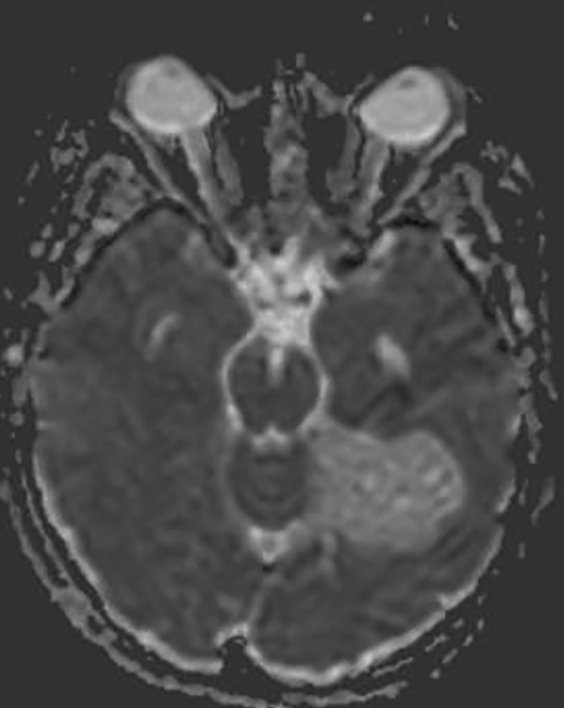 Primary intracranial extraskeletal chondrosarcoma. Appl Radiol. 2017;46(2):32-34.